CLOSEOUTS. Made of a silky mixed weave and constructed with an airy shape, this Cloth and Stone plaid fray hem shirt offers casual style for all seasons. 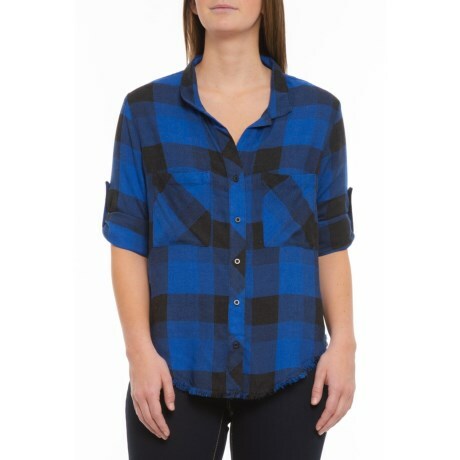 Available Colors: BLUE/BLACK PLAID. Sizes: S, M, L, XL, XS.